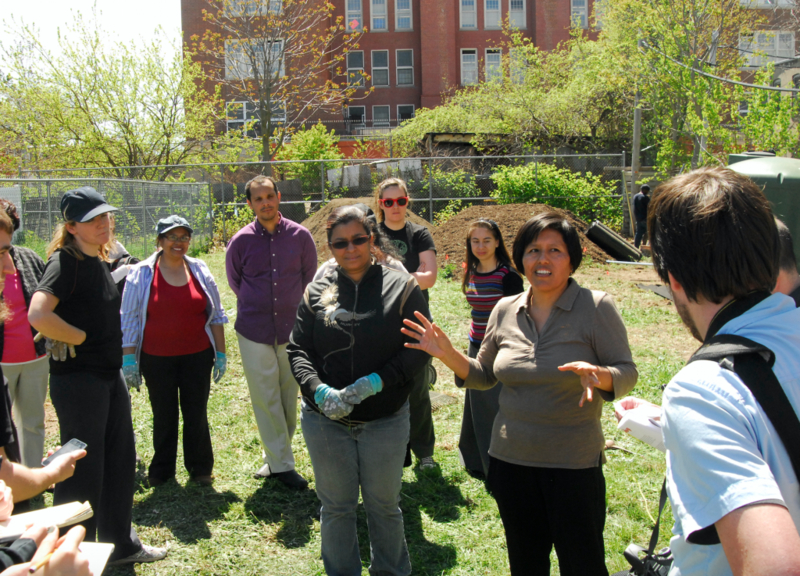 We are deeply saddened to learn of the recent passing of Yanet Rojas, a passionate community garden leader and beloved member of the Cypress Hills community. Yanet came to us in 2012 as the leader of the People’s Food Project in East New York, a grassroots effort to transform a vacant lot into a revolutionary hub of community building, urban agriculture and organic egg production. The ioby project she led, “Pollos del Pueblo,” was just one small example of Yanet’s ability to unite her neighbors around important issues of open space access and community health. For her work on this project, ioby recognized Yanet as one of our “Heroes in Our Backyard” in 2012. Yanet was a true leader and an incredible force for good on a neighborhood scale. In a profile on GrowNYC’s blog, Yanet said, “Gardening for me is a kind of philosophy, because you are not just growing plants, you are growing yourself – your humanity and your soul.” While her great work and spirit of positive change lives on, she will be deeply missed. You can watch a video piece about Yanet that we produced in 2012 here.